When you buy the Colnago V1-R Frameset Size 52S, you will earn of rewards points to spend on your next purchase from us, anything online and instore. The Colnago V1-R Frameset is the latest fruit of Colnago’s long partnership with Ferrari. This isn’t about adding the automaker’s iconic badge to the frame, but about the engineers, and engineering that the firm is known for. Colnago went to Ferrari to work on aerodynamics; they’re confident that this is the most aero road frame on the market for real-world riding conditions. 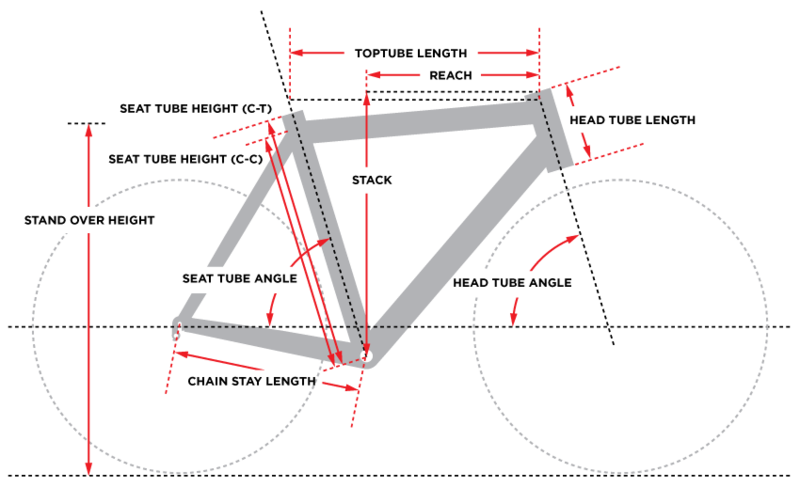 To get the aero, they use internal cable routing, truncated airfoils for the down and seat tubes, as well as an integrated seat post, deep fork blades, and direct-mount posts for both front and rear brakes. It’s also the lightest Colnago ever produced, 835g in the 52S size. It’s an evolutionary step up from the M10, their previous top monocoque frameset. Colnago isn’t usually a company to discuss frame weight, as the ride is paramount to them. They also could have made the frame lighter, if only they went with a more-common bottom bracket standard. They believe that frames should be durable and repairable, not disposable. So they created their own bottom bracket standard, the Threadfit82.5. It’s an oversized dimension that allows them to bond a threaded steel sleeve into the bottom bracket shell to which they thread aluminum cups (a tool is included with the frame). The results is a BB86 bottom bracket that doesn’t creak, can accept all BB86 and BB386EVO cranks, and can be replaced if damage occurs. They also utilize their proprietary headset system, which adds weight, durability and repairability. Both the 1 1/8” upper and 1 ¼” lower races sit in replaceable cups that will give before the fork or head tube do; it’s easier to replace headset cups than a frame or fork. The ride is, well, a Colnago. It has the same geometry as the C60, which is a classic racing geometry. But it’s the interplay of the tubing shapes and lay-up at the angles that make the ride. It will feel stiffer than the C60, but thanks to mounting the rear brake under the bottom bracket, they were able to better manipulate the seat stays for comfort. Colnago is the rare company that runs a small bridge, thinner than one that could mount a brake, between the left and right seat stays; they found the bike handles better with this small element added. The V1-R debuted at the 2014 Tour de France under the Europcar squad. The team can ride any bike they want; several of the riders took this one, notably both the climbers and the sprinters. The bike comes with a proprietary seat post with 15mm of setback. The front of it has the diameter of a round 27.2mm post, but then it is cut off, Kamm-tail style. The smaller diameter aids in damping road vibrations. The bike can be set up with either mechanical or electronic shifting. The internal cable runs come with covers to accommodate both. For those going electronic, there is the freedom to run Shimano Di2 with a seat post battery or Campagnolo EPS with a seat tube battery—the EPS charging port goes under the downtube. The direct mount brake standard here works with Shimano, Colnago-branded Hive brakes (only available from Colnago), and Bontrager. The frame is designed to accept tires up to 25mm in width and rims of all widths. The Colnago V1-R leaps to the future while keeping the classic elements that have made the builder from Cambiago the legend he is. Headset HS-C, 1 1/8"-1 1/4"
Have you found the Colnago V1-R Frameset Size 52S Cheaper?